Are You Ready to Make a Difference to a Child? How Will The NDIS Be Rolled Out In SA? 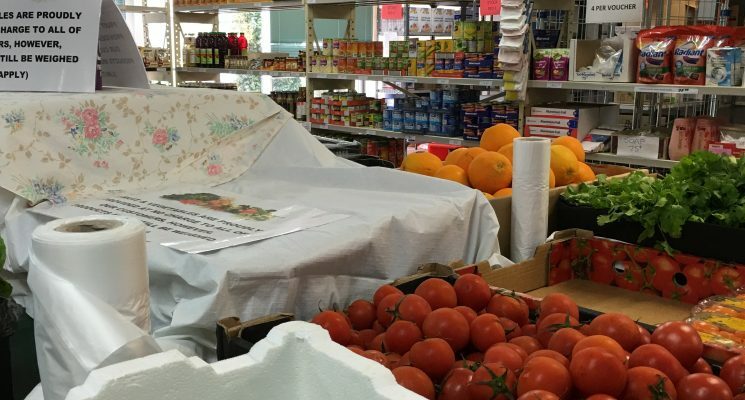 Families and individuals in Adelaide’s northern suburbs will have greater access to emergency food assistance following the completion of works to expand and upgrade the Northern Community Food Hub. The Northern Community Food Hub, located at the Elizabeth Mission, is a partnership between AnglicareSA and Foodbank SA, providing emergency food services including perishable and non-perishable items to those who need urgent assistance. AnglicareSA Senior Manager Community Services, Kate McGarry says the expansion puts both organisations in a better position to help cater for likely increases in demand over the coming years. “Through our work across the northern suburbs we are noticing that people who use our services are struggling with cost of living pressures, unemployment and job uncertainty. People are being forced to choose between paying their bills and putting food on the table and often it’s food which the individual or family misses out on,” Kate said. “Recent and upcoming job losses in Adelaide’s northern suburbs are likely to place greater pressure on families and we need to do all we can to support them during these challenging times. Works on the Food Hub included demolishing a wall to create more space and making the area look more like a mini supermarket. It now stocks a wider variety of fresh fruit and vegetables, a daily bread supply, as well as a range of frozen and chilled products. Foodbank SA and AnglicareSA have employed a coordinator to manage the facility, which is staffed by volunteers. The Food Hub is part of a comprehensive list of services provided through AnglicareSA’s Elizabeth Mission, which also includes emergency relief, financial counselling, housing and homelessness, children’s and youth services and mental health services. The Northern Community Food Hub is open 9.30am – 2.30pm Monday to Friday.